Have you ever felt the need to respond to a text with a deep comment showing how sensitive you are, but not known which emo lyric is most suitable? Well a new app called Emo Keyboard is here to change your world by putting the words of your favourite emo bands right at your fingertips. 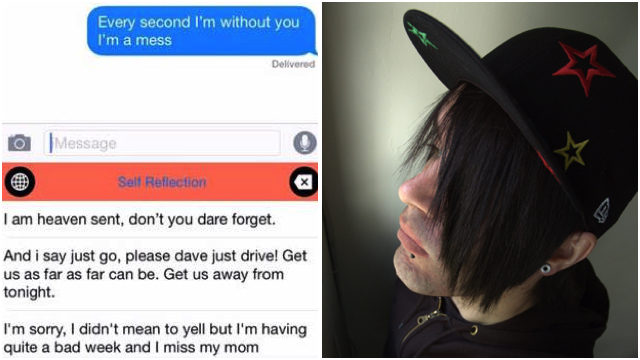 As Alternative Press reports, the free Emo Keyboard app comes with a list of categories, including, “Breaking Up”, “Friendship”, “Not Fitting In” and “Self Reflection”. Each category contains lyrics from bands like Brand New, Saves The Day, The Used and Jimmy Eat World. Oh and if you’re unsure if a band is emo or not, this website knows if they are. 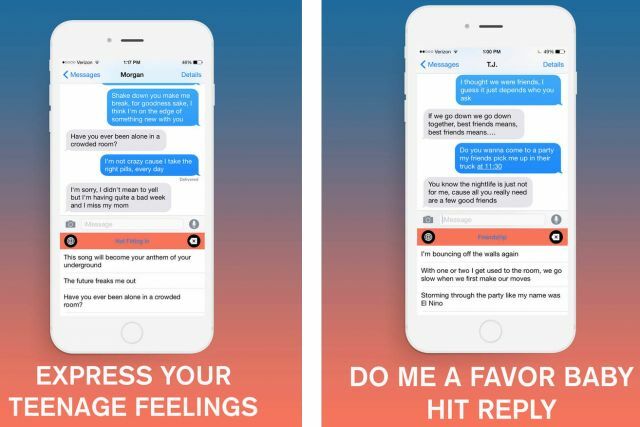 Emo Keyboard has been developed by the group behind LA’s monthly Emo Night events. The team are reportedly prepping an update to the app, which will give it more lyrics, more categories and add an Android-friendly version. For now, the app is available for iPhone and iPad via the App Store. Enjoy your happy meaningless texting sessions.